Formerly the Popcorn Time website. The Motion Picture Association of America today announced that it had effectively shut down the popular Popcorn Time “fork” and movie-sharing torrent destination YTS after court orders in Canada and New Zealand. 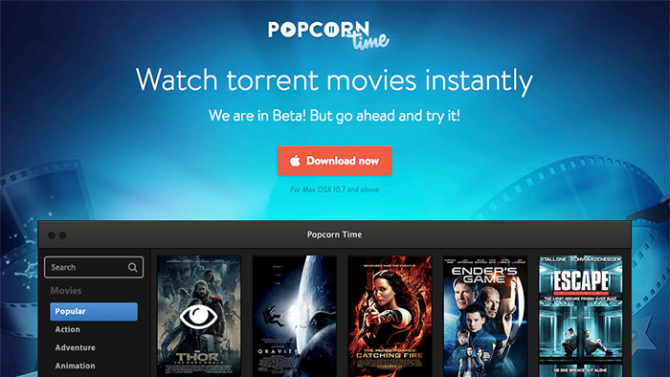 The MPAA filed suit on Oct. 9 in Canada against three operators of the popcorntime.io fork, claiming that the defendants enabled, authorized and induced copyright infringement via an app that allowed viewers to watch pirated movies and TV shows. The studios obtained an injunction on Oct. 16 ordering the shutdown of the site. The studios also filed a suit on Oct. 12 in a New Zealand court against the operator of YTS, contending that the torrent site was the home of YIFY, with a library of about 4,500 infringing movie titles. The MPAA obtained an interim injuction to shut down the site. “Popcorn Time and YTS are illegal platforms that exist for one clear reason: to distribute stolen copies of the latest motion picture and television shows without compensating the people who worked so hard to make them,” MPAA chairman Chris Dodd said today. Torrentfreak has some good coverage about what exactly was shut down, and who did what when. Shocking, I know, but you can't trust everything you read in an MPAA press release--or news reports that copy and paste the contents of that press release as fact.